Boskoe100 And Daz Dillinger Are About A Lot Of Smoke! And KANYE! Is this old fashioned gang warfare between a pair of legends? 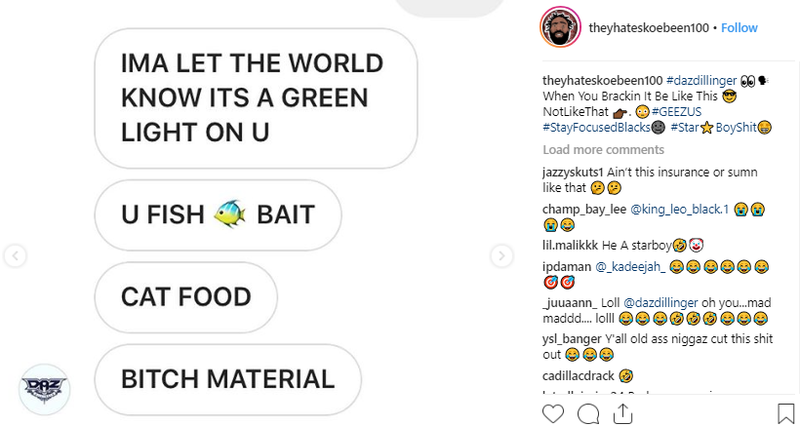 (AllHipHop Rumors) It looks like the gang life is alive and well on social media. I am not gonna be the one to minimize it. It remains outside of my life experience. But, it definitely amazes me how the inner workings of the this lifestyle hits common squares like me. 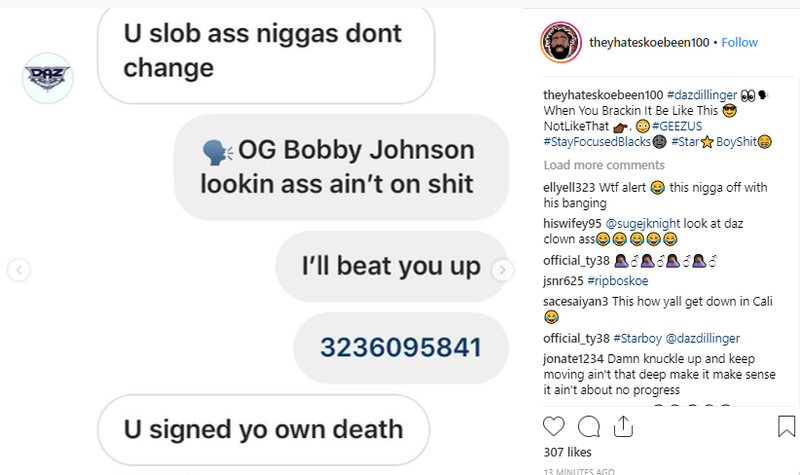 So, Boskoe is an OG that I have seen on a lot of social media stuff, but he definitely seems real to me! 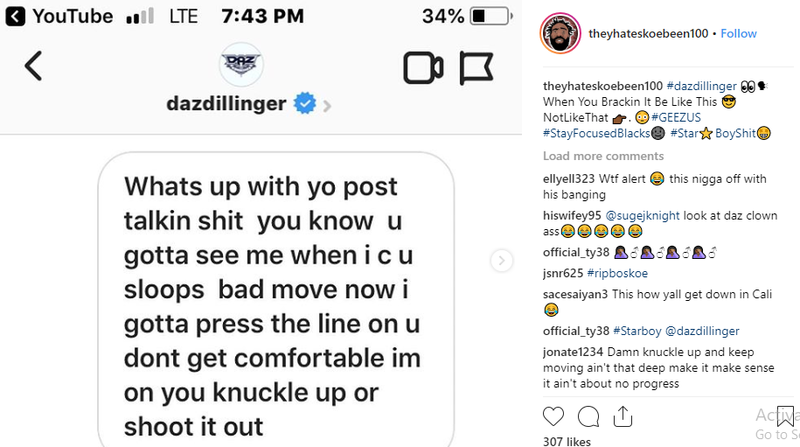 And he has been beefing with Daz, a well known Crip. Boskoe100 is a Blood. It looks like they are about to go at it in real life! I honestly am not sure where this all started, but I hope nobody gets killed. When they "push the button" that means all their guys go and try to kill that person. Sounds like "the purge" of South Central. By the way, Kanye West is not out of the woods yet. Remember earlier this year, Daz put out a whole Crip Alert on Kanye for his Trump antics. Well, it was more than the color red that had Daz pissed off. He's no supporter of the MAGA Crew! But, this time, Daz targeted Kim Kardashian and does not care about "respectability politics." Check this out. Time for another restraining order for Kanye West!